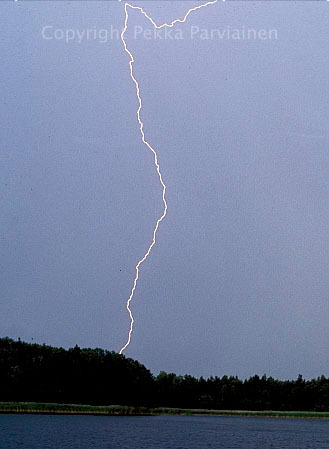 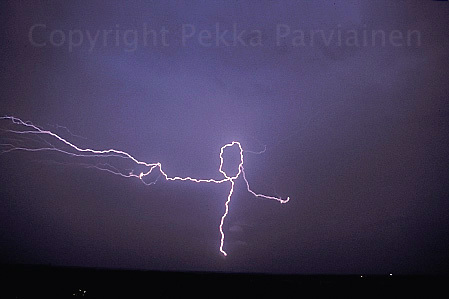 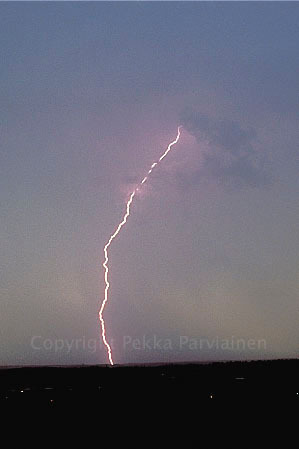 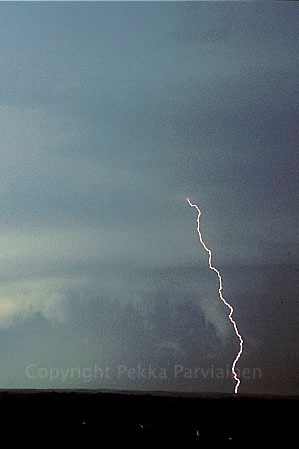 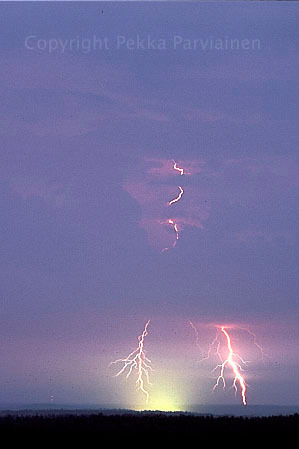 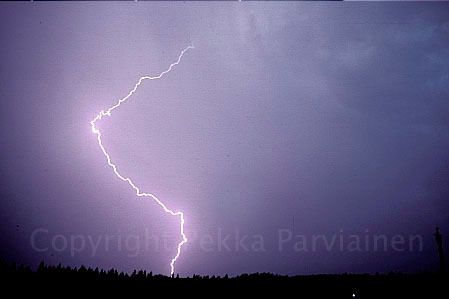 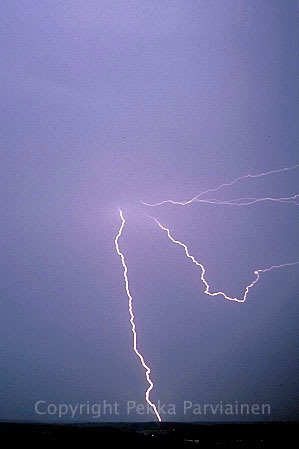 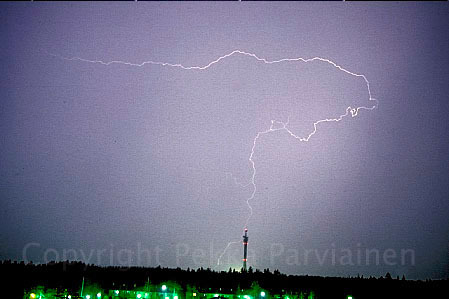 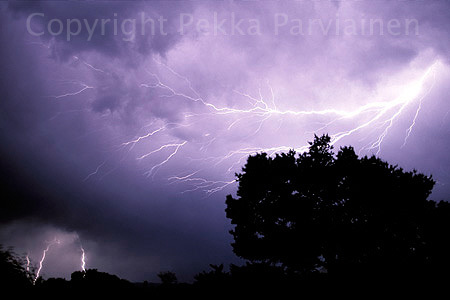 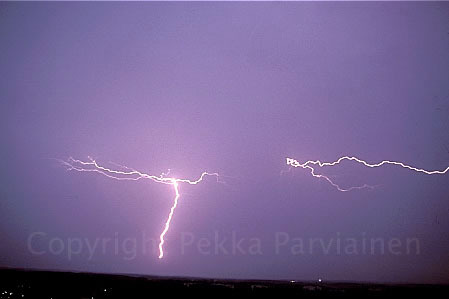 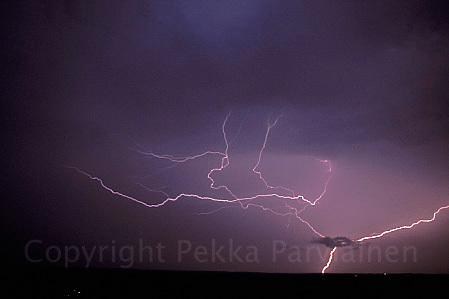 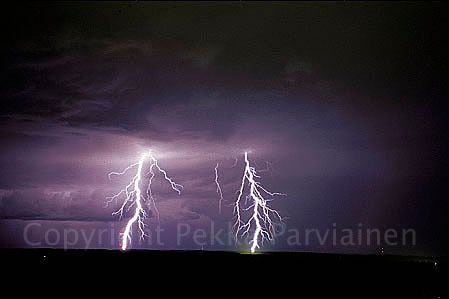 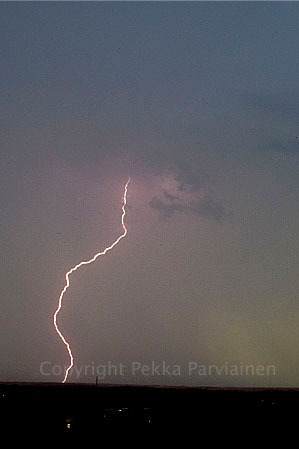 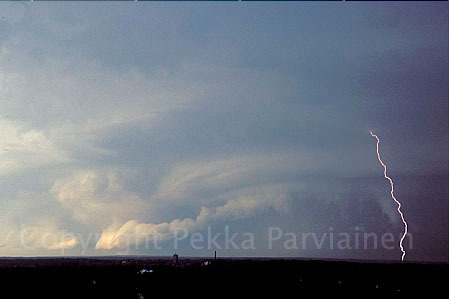 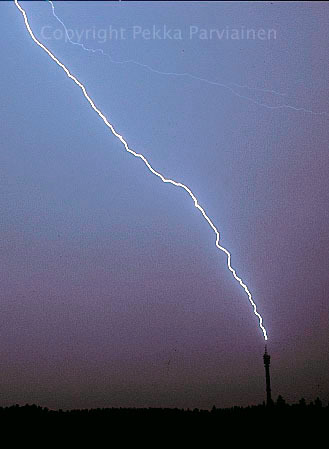 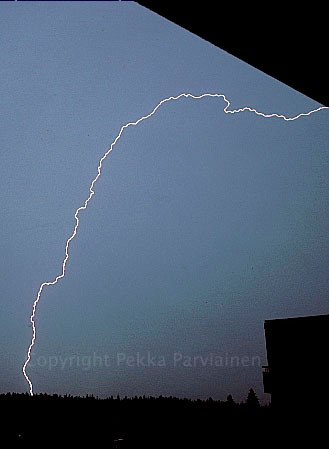 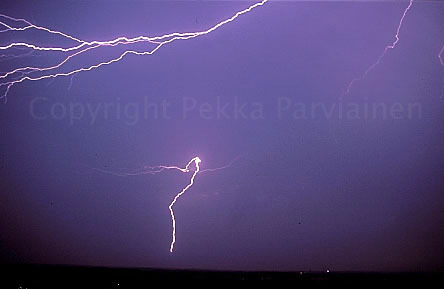 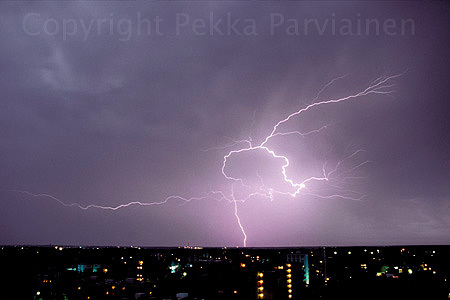 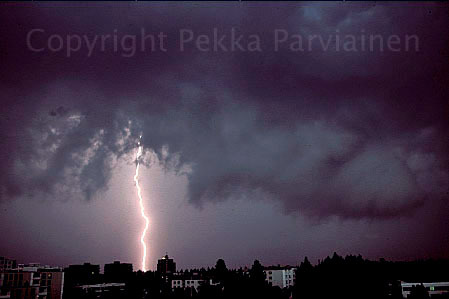 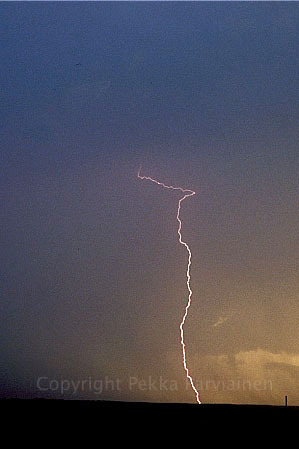 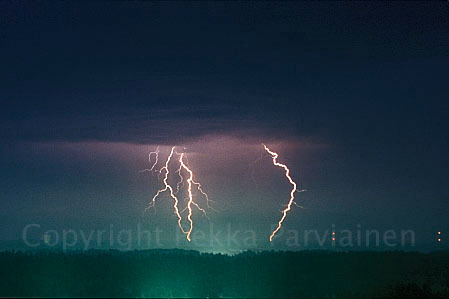 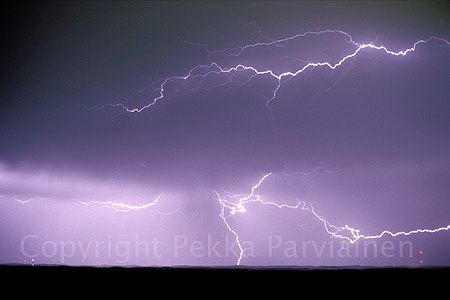 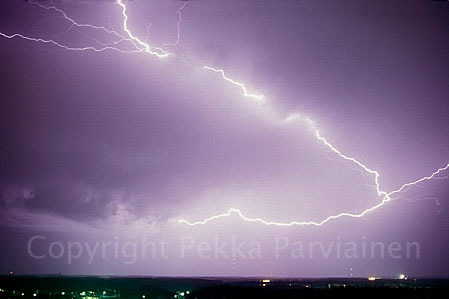 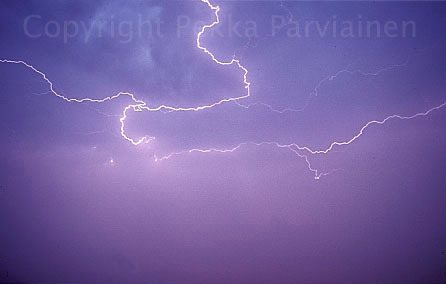 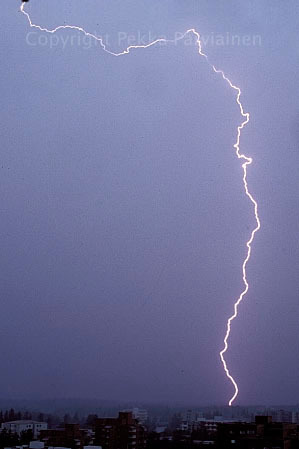 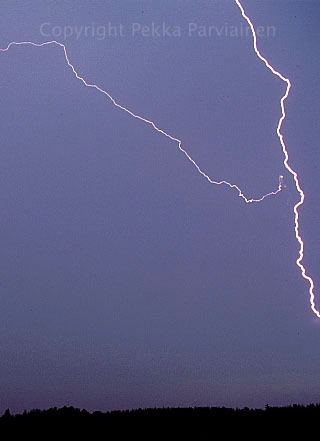 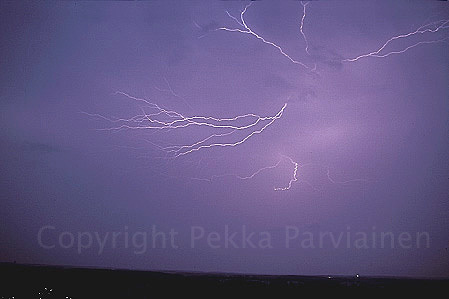 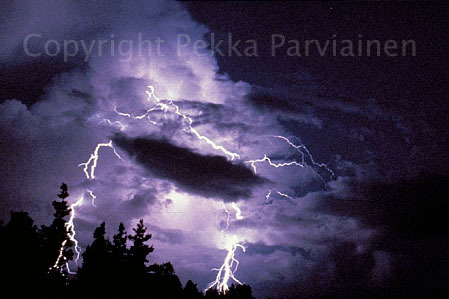 Every so often when hunting for lightnings, the hit is on the very edge of the film. 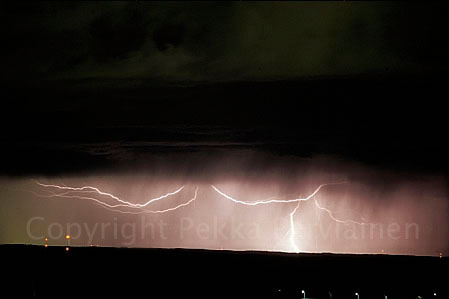 Using a wide angle means that the trace is also very short. 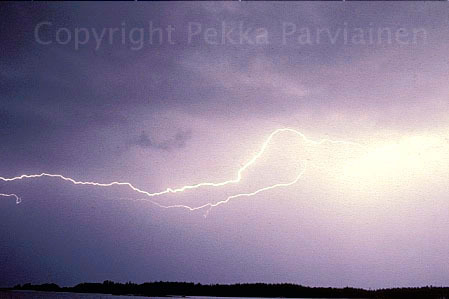 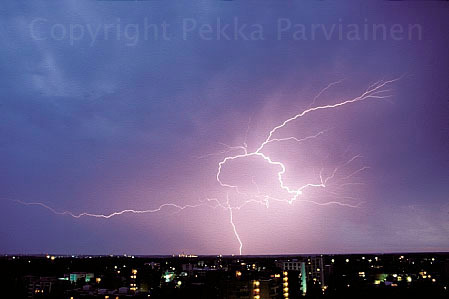 This all means that lightning is often only a small streaks of light and have to be enlarged from the very corner of image area. 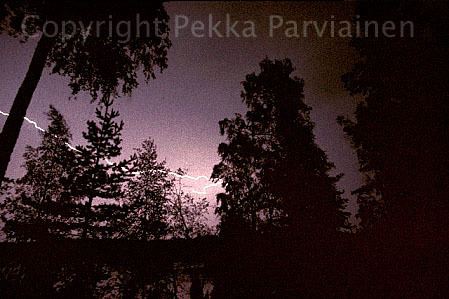 This all results in poor quality pictures which can be seen in many of those in these pages.